The Race to the Center Half Marathon is a unique race with a unique course! The entire 13.1 mile route is on unpaved country roads. Enjoy the natural beauty of the Kansas Prairie as you run from Smith Center to the Geographical Center of the Contiguous United States near Lebanon. You may run the course, or ride your bike. This race is certified by USA Track and Field Association. This was my first ever half marathon race. What a tremendous experience! The route was well marked with drink/aid stations, port-a-potties and supporters. All road traffic was blocked off for runner safety and the route was on country roads and easy on the legs. The route is a challenge with rolling hills but the scenery was well worth it! I would highly encourage you to participate in this half marathon! Sarah L. has run 1 times 1/1 found this review helpful. Overall, I enjoyed the race. It would have been even better if the weather gods had provided a little better day;]. But, no one can control that. Everything was well organized, and the rides to the start, and back from the finish, were greatly appreciated. I would recommend this to anyone wanting a fun half-marathon. Eric P. has run 1 times 0/0 found this review helpful. View all Race to the Center reviews. Based on a 5 year average and a race date of September 14th, Lebanon, KS can expect temperatures between 49℉ and 80℉ with humidity around 52% and precipitation of 0". Raceentry.com also cannot attest to the validity of individual Race to the Center reviews. All of the information about the race has either been supplied by the event staff or can be modified at any time by their race management. 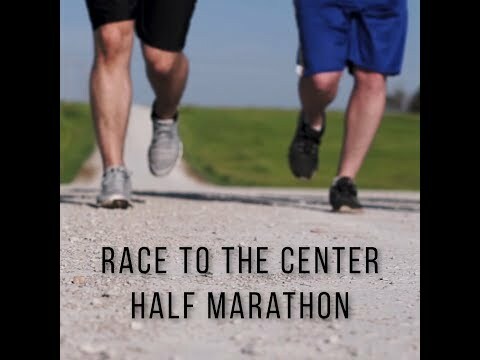 2019 Race to the Center registration details are only as accurate as the event has made them.